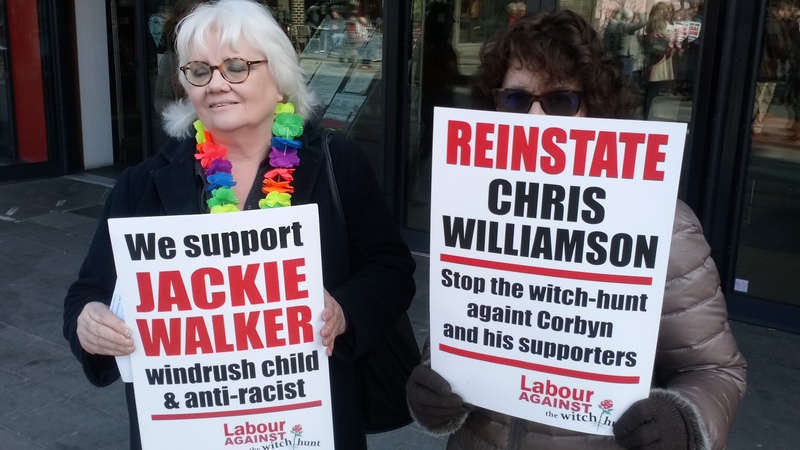 Today’s expulsion of Jackie Walker from the Labour Party for “misconduct” – of which the Jewish Chronicle was informed before her solicitors – is a great injustice, though it does not come as a surprise. Although the panel took two days to come to their conclusion, the die had been cast long ago. The decision to charge her for a “pattern of behaviour” does not bode well for Chris Williamson MP, who has been accused of similar ‘offences’. Jackie walked out on the first day of her hearing, because the panel did not allow her to read out a brief statement. This ruling once again emphasised the lack of fairness at the heart of the party’s disciplinary procedures: for example, the investigating officers added five new charges to their allegations a mere three working days before the hearing began, giving her no time to effectively challenge them and defend herself. Click on the picture to watch a great little film of the protest produced by Jon Pullman. Clearly, walking out made no difference to the eventual outcome – but she was able to expose the lack of natural justice at the heart of her case with a spirited party with the well over 100 people who came to the Deptford Lounge in South London to support her. Please read Jackie’s statement, in which she takes apart the charges against her and outlines the lack of natural justice and due process in the party’s disciplinary procedures against her. This decision is a massive set back in the fight for the soul of the Labour Party – the right has been able to claim yet another scalp. 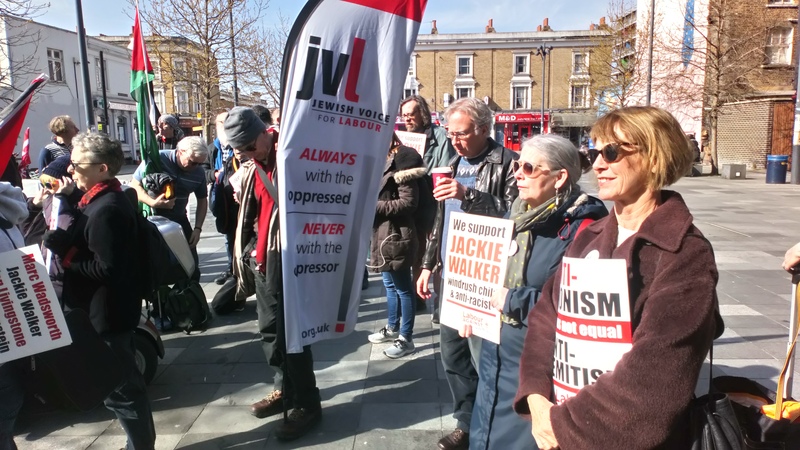 LAW stand in unequivocal solidarity with Jackie Walker and all those who have unfairly brandished as anti-Semites on trumped up and nonsense charges and those who have been expelled because they are supporting left-wing groups in the Labour Party. 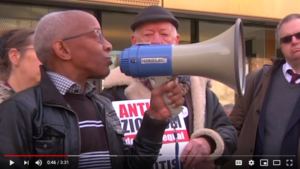 It is those kind of politicised decisions, designed to appease the right, that are bringing “the party into disrepute” – not our comrades Jackie Walker, Tony Greenstein, Marc Wadsworth, Stan Keable and Chris Williamson.